The View From Inside Saturday’s March For Our Lives: Students Demand a Revolution in Gun Control — and Lead a Deafening Moment of Silence — in Washington, D.C.
—Analysis: Old enough to march, old enough to vote? For nearly six minutes Saturday, school shooting survivor Emma Gonzalez stood at a podium in front of almost 1 million people, on national television, and said nothing. It was a remarkable and chilling silence — one that rang louder than the star-studded musical performances that took the stage in Washington, D.C., before Gonzalez got up to speak. “Six minutes and about 20 seconds. In a little over six minutes, 17 of our friends were taken from us.” said Gonzalez, a senior at Marjory Stoneman Douglas High School, as she opened her speech at March for Our Lives. She then named all the victims who died in the Parkland, Florida, school massacre last month, and promptly began her long moment of silence. Gonzalez’s statement was just one of many hauntingly poignant moments that tore open hearts and moved ralliers to tears. Stoneman Douglas student Aalayah Eastmond transported marchers to her classroom on Feb. 14. She was studying Holocaust history when bullets started flying in — her classroom was the gunman’s third. Samantha Fuentes, who was shot in both legs that day and had shrapnel behind her eye, led a million-person rendition of “Happy Birthday” for fallen classmate Nicholas Dworet that thundered down Pennsylvania Avenue. Dworet would have turned 18 on Saturday. 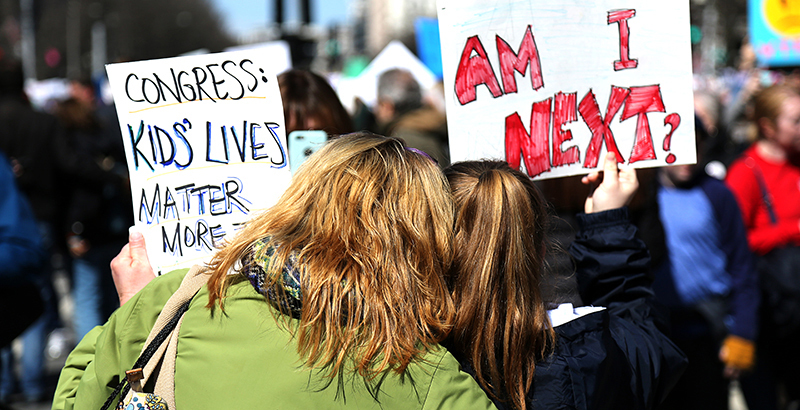 The estimated 800,000 protesters who packed a three-quarter-mile section of Pennsylvania Avenue between Capitol Hill and the White House made March for Our Lives, a colossal effort led by Stoneman Douglas students to advocate for gun-control legislation, one of the biggest youth protests in the U.S. since the Vietnam War era — and the largest single-day demonstration in Washington history. Over 800 sister rallies were held across the country and around the world. From Paris to Tokyo, millions of global citizens showed up Saturday to support the cause. 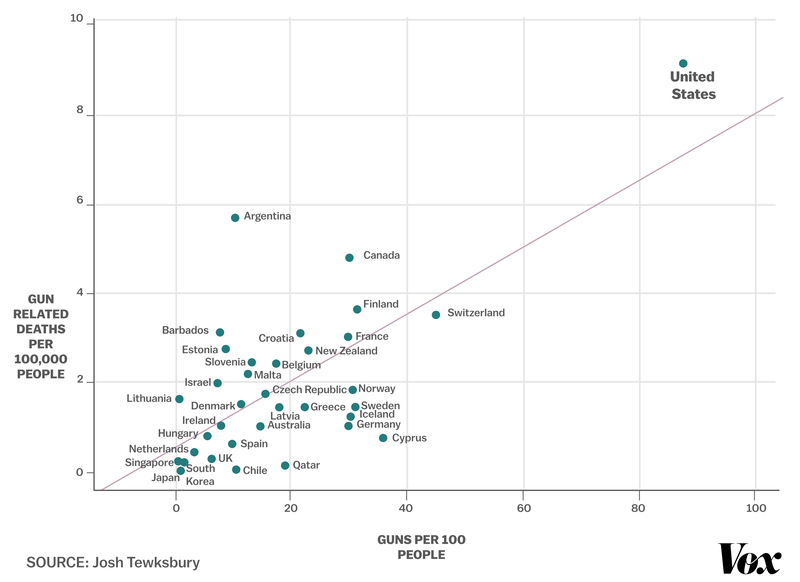 Rates of gun violence are higher in the United States than in any other developed country. The gun homicide rate in America is nearly six times that of Canada, seven times that of of Sweden, and almost 16 times that of Germany. More than 187,000 students in at least 193 K-12 schools have experienced a campus shooting since the Columbine massacre in 1999, according to a Washington Post analysis. The report found an average of 10 school shootings a year in that same time. There have been 11 school shootings in the first three months of 2018 alone, putting this year on track to be one of the worst in history. New Jersey student Matan Ackelsberg traveled to the nation’s capital Saturday because he is tired of those statistics: Too many Americans are dying from gun violence, he said, and he wants to see change. Throughout Saturday’s assembly, America’s young people echoed two major messages for the country’s lawmakers and politicians: First, this rallying cry for stricter gun laws is a movement, not a moment. Second, take action toward arms control, or we will wield a weapon mightier than the gun: the right to vote. As the program continued for nearly three hours, “vote them out” chants rippled through the crowd. Stoneman Douglas survivors weren’t the only students to address lawmakers and voters. Young adults from across the country who have lost loved ones to gun violence — including students from Los Angeles, New York, and Chicago — issued the same calls to action. Even 11-year-old Naomi Wadler, representing the “African-American girls whose stories don’t make the front page of every national newspaper,” was ready to fight with her right to vote. The fifth-grader from Alexandria, Virginia, was asked to speak at the rally after organizing a walkout at her school to protest gun violence. The students who spoke Saturday came armed — with policies they want to see enacted. Among them: prohibition of high-capacity magazines, a ban on assault weapons, and closing of loopholes for gun purchases. Instead of funding security measures and armed officers for schools, they said, the money to go toward teachers, instructional materials, mentorship programs, mental health resources, and paid internship and job opportunities. Washington, D.C. student Zion Kelly has already submitted a request to the City Council to expand public safety zones that could have prevented the fatal shooting of his brother last year. Edna Chavez, a high school student from south Los Angeles, lost her brother to an act of gun violence in 2007 — he was shot outside their home. Chavez criticized her school district for having a police department that profiles and criminalizes black and brown students. Instead, she said, the district should house a department specializing in restorative justice. A little over a half-century ago, another cry for empowerment similarly came from the shadows of the Capitol building. During the March on Washington for Jobs and Freedom in 1963, Martin Luther King Jr. told America that he had a dream. She continued on to lead a cheer to instill the promise and empowerment of her generation. That proclamation headlined what some see as a new youth movement, ushering in an era of political activism that parallels the causes of the 1960s.